This notice is in regards to an urgent activation of a Jasmine Alert. 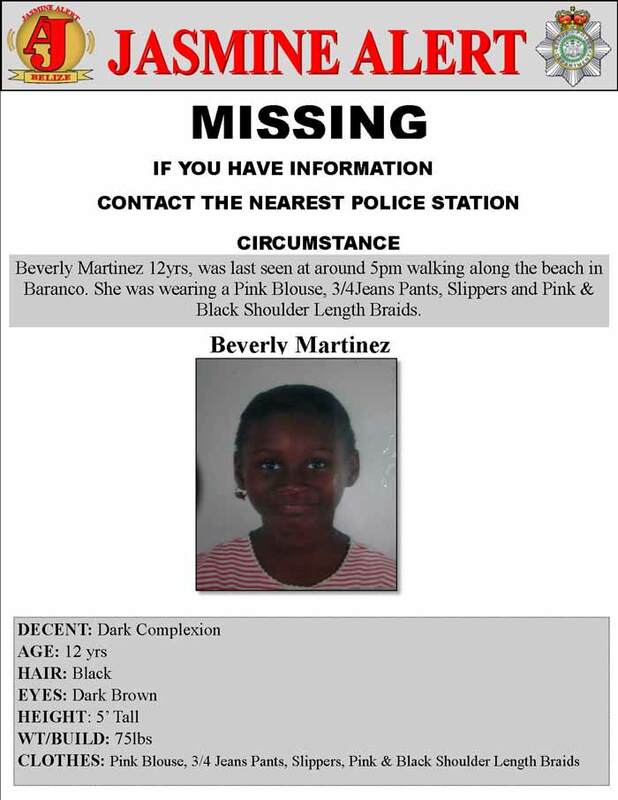 Twelve Year Old Beverly Martinez went missing yesterday and was last seen at 5pm in the evening. Please air this Alert AS SOON AS POSSIBLE and as many times for the following days. May we bring this child back home safely. The missing child BEVERLY MARTINEZ, (SUBJECT OF JASMINE ALERT) has been found safe and sound and the Police is working on the case.